The growing need for energy system flexibility would benefit from new storage solutions and innovation. Some emerging storage technologies, including batteries and hydrogen, are gradually becoming competitive. But the energy market has not kept pace with technological progress. Factors slowing down the development of energy storage technologies include administrative barriers, limited access to grids, and excessive fees and charges. In today’s lecture Marek Kubik (Forbes 30 under 30! ), Market Director of Fluence company will be discussing with you the role of energy storage in the energy transition. At any moment in time, the consumption of electricity has to be perfectly matched with the generation of electricity. This balance is necessary in all electricity grids in order to maintain a stable and safe electricity supply. Energy storage can help deal with fluctuations in demand and generation by allowing excess electricity to be ‘saved’ for periods of higher electricity demand. 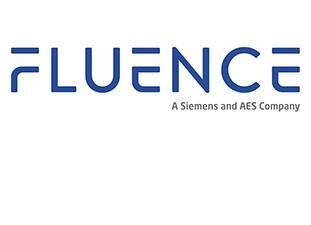 Fluence is a global energy storage technology and services company, created and backed by Siemens and AES, two industry powerhouses and pioneers in energy storage. They want to empower customers around the world to better navigate the fragmented but rapidly growing energy storage sector and meet their pressing needs for scalable, flexible, and cost-competitive energy storage solutions. During this lecture we will discuss the role of energy storage in transforming our energy networks. Marek Kubik believes in the ability of energy storage to address the intermittent nature of renewable power. Being one of the leading figures in energy storage, he will share his experience and expertise. Join the discussion and register now! Marek leads the Fluence UK and Ireland Client Solutions Team and is responsible for overseeing Energy Storage sales and project proposals across UK&I, the Middle East and Africa. He has 8 years engineering and sustainability experience, including an instrumental role in the UK’s first commercial battery storage array in 2015 and more recently a record breaking 120MW energy storage portfolio transaction; the largest in the world to date. A tech futurist and TEDx speaker, Marek was named a 2017 honouree of the Forbes 30 Under 30; a list that recognises the most important young entrepreneurs and industry leaders.